Important disclaimer: These online classes are offered through third party providers and you will be directed to independent websites to purchase and take the class you choose. Please note, if you complete your NAR Ethics class online, please send your certificate to membership@dmarealtors.com so we can update our records. Through The CE Shop, you have access to online CE training in an easy-to-use format. Access great online continuing education courses that are state-approved and 100% accredited. Once you complete a course, you can access your certificate instantly and The CE Shop manages all reporting to the state. VanEd maintains an extensive selection of online Colorado real estate continuing education courses, including GRI courses and the mandatory CREC Update Course, to help you satisfy the education requirements of your license. Armbrust Real Estate Institute offers elective and mandatory online continuing education so you can learn on your own schedule. Watch video lectures, take interactive quizzes, complete graded assessments and connect with instructors to get your questions answered. Interact CE is the Colorado REALTOR® Associations #1 recommended license renewal product that's both fun and proven for superior learning. Refine your skills and earn Colorado CE credit while playing the part of a buyer agent, a seller agent making everyday choices of advertising, and negotiate. 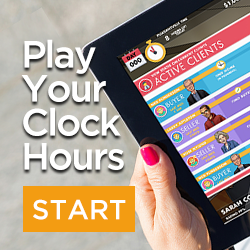 Play for 5 minutes at a time, or 5 hours, time accumulates on any device anywhere. The software tracks your total time and credits it towards your license renewal. After successful completion, you will be emailed a Colorado CE certificate instantly. Use code CONEWCE for 10% off any purchase, no restrictions.